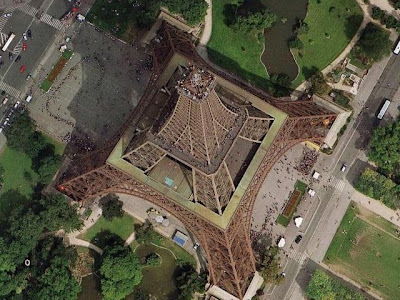 The tower stands at 324 m (1,063 ft) tall, about the same height as an 81-story building. It was the tallest structure in the world from its completion until 1930, when it was eclipsed by the Chrysler Building in New York City. Not including broadcast antennas, it is the second-tallest structure in France, behind the Millau Viaduct, completed in 2004. And while the Eiffel Tower is an iron structure, and weighs approximately 10,000 tonnes, it actually has a relatively low density, weighing less than a cylinder of air occupying the same dimensions as the tower. 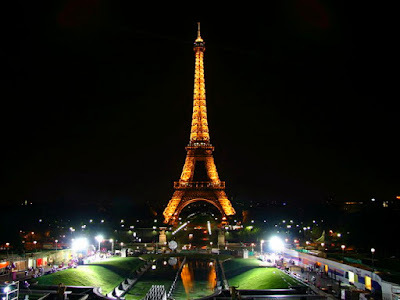 The tower has become the most prominent symbol of both Paris and France. 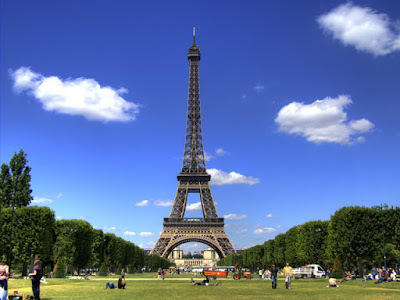 The tower is a featured part of the backdrop in literally scores of movies that take place in Paris. 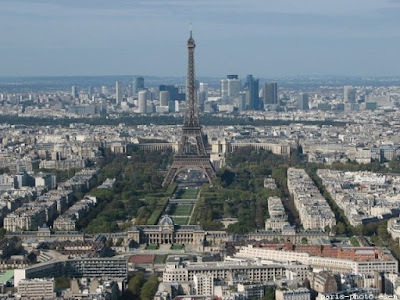 Its iconic status is so established that it even serves as a symbol for the entire nation of France, such as when it was used as the logo for the French bid to host the 1992 Summer Olympics. 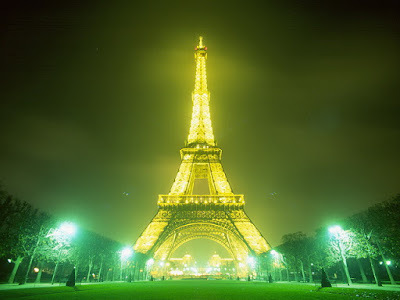 The metal structure of the Eiffel Tower weighs 7,300 tonnes while the entire structure including non-metal components is approximately 10,000 tonnes. Depending on the ambient temperature, the top of the tower may shift away from the sun by up to 18 cm (7.1 in) because of thermal expansion of the metal on the side facing the sun. As demonstration of the economy of design, if the 7300 tonnes of the metal structure were melted down it would fill the 125 metre square base to a depth of only 6 cm (2.36 in), assuming a density of the metal to be 7.8 tonnes per cubic metre. The tower has a mass less than the mass of the air contained in a cylinder of the same dimensions, that is 324 metres high and 88.3 metres in radius. The weight of the tower is 10,100 tonnes compared to 10,265 tonnes of air. More than 200,000,000 people have visited the tower since its construction in 1889, including 6,719,200 in 2006, making it the most visited paid monument in the world.